The debate about the use of birth control on wild horses and burros is coming to the forefront. The question looms why should current population numbers be suppressed with birth control when there are only half the number present now than in 1971 when they were first protected. The 1971 law is explicit in saying the animals were fast disappearing from the American scene and that there should be minimal management of the animals. When population counts were done in 1974, there were nearly 50,000 animals based on a counting system that drastically undercounted the animals by today’s standards. Today we are lucky to have 30,000 animals. The National Academy of Sciences (NAS), whose report was released in 2013, noted that BLM‘s management practices are facilitating high rates of population growth by holding horse populations below levels affected by food limits. “If population density were to increase to the point that there was not enough forage available, it could result in fewer pregnancies and lower young-to-female ratios and survival rates,” according to NAS. ISPMB’s horses have held their own even with good feed conditions. An example is the Gila herd that began with 31 animals and 14 years later, they have crested to 100 animals. If these were BLM horses, this year we should have 248 horses. ISPMB’s studies have shown that the stability of the harems has led to reduced growth rates. This means that the harems should not be disrupted by removals, separating stallions from mares. We know that once that happens, the stallions lose their mares to younger stallions being released back onto the herd areas. Bottom line is that roundups whether for removal or birth control injections causes the same problem – increase in fertility rates due to the disruption of the harems. The future for best management practices by the BLM should be in bait trapping when removals are necessary, keeping the harems intact. Even though it is more time intensive, the overall costs in removals and warehousing animals would be and would have been drastically reduced. The argument against the use of birth control continues for the following reasons: animals would have to be treated yearly which means that the harems would be disrupted constantly. And adding to their disruption, instead of only 50-60% of the animals gathered during a usual roundup, the majority (90%) of the herds must be gathered to implement birth control. This means that there would be almost no harem that wouldn’t be disrupted! The result again, increase in fertility rates from disruption. So combating growth rates by using contraception actually increases rates! We know that permanent infertility can happen after five years of application of the drug to the same animal. And we don’t know the far reaching effects of the long-term use of the drug on modeling behaviors for the animals or any side affects if foals were to be born to mares that have received long-term treatments. The final and most important argument against the use of birth control is that we as human beings must select who breeds and who does not breed. In the domestic horse industry, we have failed miserably as breeders of horses. One can easily point to the Quarter Horse Industry where the average age of soundness is seven years, the age of a horse just entering its prime of life. That means at age 8 and older, horses are breaking down due to having too much weight on legs that can’t support the weight. Nature has provided the best breeding program available for wild horses and that being “survival of the fittest.” One just has to look at the legs of a wild horse compared to any other breed of horse. And we know they are generally healthier and happier. If BLM were to manage wild horses by not disturbing them, they would do more to hold down birth rates in the long run. 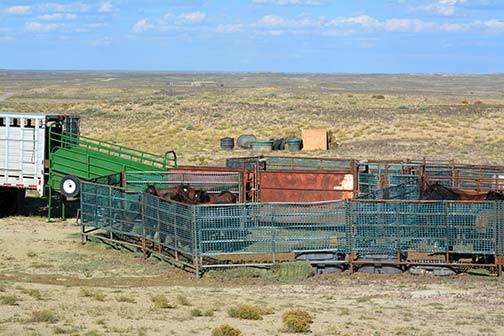 Removal of “excess” wild horses/burros should only be done by bait trapping to ensure that wild horses and burros truly remain wild. Sadly, instead of feasible minimal management, we now are at maximal intrusive management. Near unprecedented drought in South Dakota has placed the historic International Society for the Protection of Mustangs and Burros (ISPMB) in an emergency situation. There has been virtually no snow, there is virtually no grass growing and ISPMB is having to actually import hay from Canada at huge expense to feed their herd of about 100 Virginia Range mustangs. Karen Sussman has two priorities. The first is to be able to continue to feed the horses in the preserve. A donor who had indicated that he was shipping truckloads of western hay to the preserve failed to come through. As a result, ISPMB is still having to raise funds to purchase Canadian hay. The second priority is to reduce the herd by placing horses with other groups and responsible individuals. Karen is very reluctant to adopt horses locally due to their proximity to Canadian slaughterhouses. Many of the horses are nice looking and are relatively friendly. If you or your group could help by accepting a few of these horses and/or assisting with hay expenses, please contact the ISPMB at http://ispmb.org or telephone 605-964-6866. Historically the ISPMB has helped other groups with placing horses and now they need our help. Footnote: This “problem” has developed into a full blown emergency. Additional anticipated snow did not fall and ISPMB has to relocate their horses by the end of March! Calling all advocates! This emergency will require a “team” response to be resolved.